Unlike the trebuchet, the ballista is a so-called “spring” gear. Its operation is based on various mechanisms using the action of two levers on torsion springs, consisting of several bundles of twisted fibers. Early versions threw heavy arrows or spherical projectiles, like stones of different sizes. 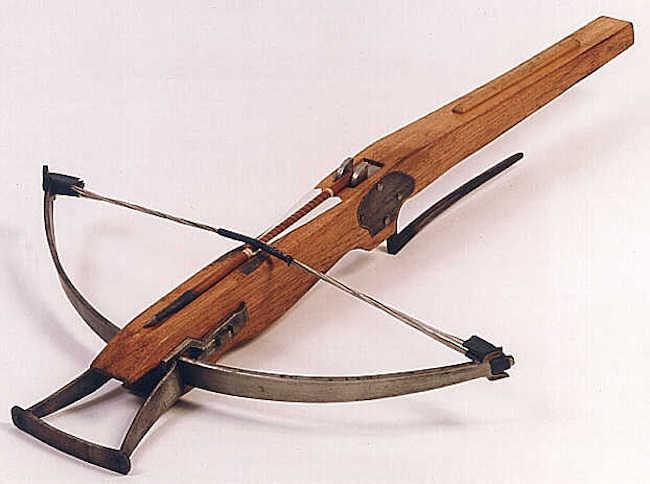 The crossbows were already known in ancient China but apparently invented again in Europe around 900. They had a good reach and were more powerful than most bows, although it took them much longer to load. 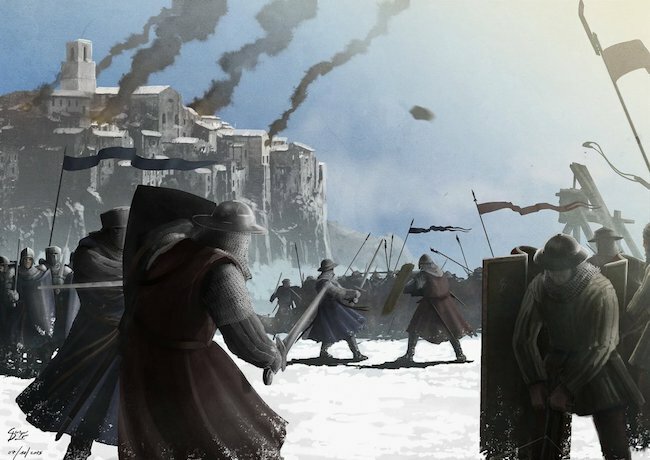 A crossbowman could fire an average of two arrows per minute.